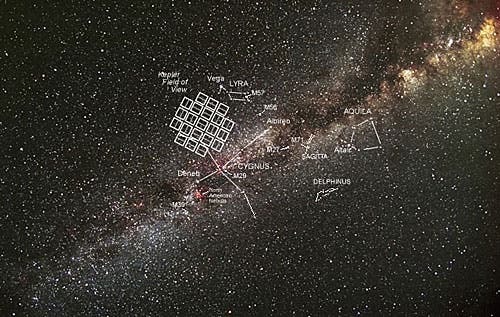 NASA's Kepler Mission astronomers are looking for environments that make complex chemistry viable –pathways to life in the Universe. Ideal planets will maintain surface temperatures in which large molecules can survive and can attain chemical concentrates that can be stable over time. 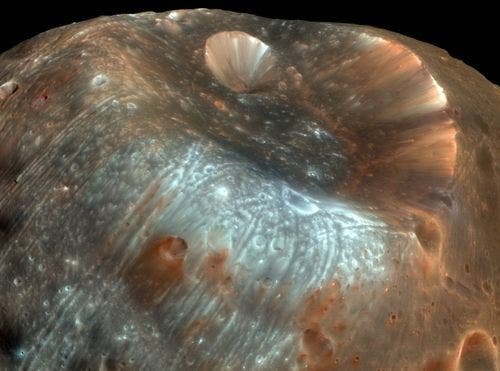 Russia’s Obsession with Mars’ Mystery Moon –A New Mission to Phobos? Russia will send another sample mission to the Martian moon Phobos if the European Space Agency (ESA) decides not to include Russia in its ExoMars program, the head of Russia’s space agency said on Tuesday. The space agency also announced that cosmic radiation was the most likely cause of the failure of the Phobos-Grunt probe that crashed to Earth this month, and suggested that a low-quality imported component may have been vulnerable to the radiation. Phobos-Grunt, Russia's most ambitious planetary mission in decades, was launched on November 9, but failed due to propulsion failure and crashed back to Earth on January 15. The awesome iamge of the Milky Way arch above is actually a deep digital fusion of nine photos that created a panorama fully 360 across. Taken in Teide National Park in Tenerife, Canary Islands, Spain, the image includes the Teide volcano, visible near the image center, behind a volcanic landscape that includes many large rocks. 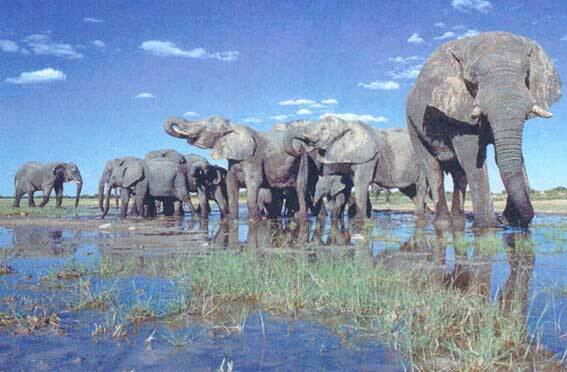 Evolutionary changes in body size take a very long time. A mouse-to-elephant size change would take at least 24 million generations based on the maximum speed of evolution in the fossil record, Becoming smaller can happen much faster than becoming bigger: the evolution of pygmy elephants took 10 times fewer generations than the equivalent sheep-to-elephant size change. The image above shows the supermassive black hole in the core of a distant galaxy known as Cygnus A spews jets of gas into space over distances of more than 200,000 light-years. The jets (orange) were imaged by the new International Low-Frequency Array (LOFAR) Telescope in Europe. 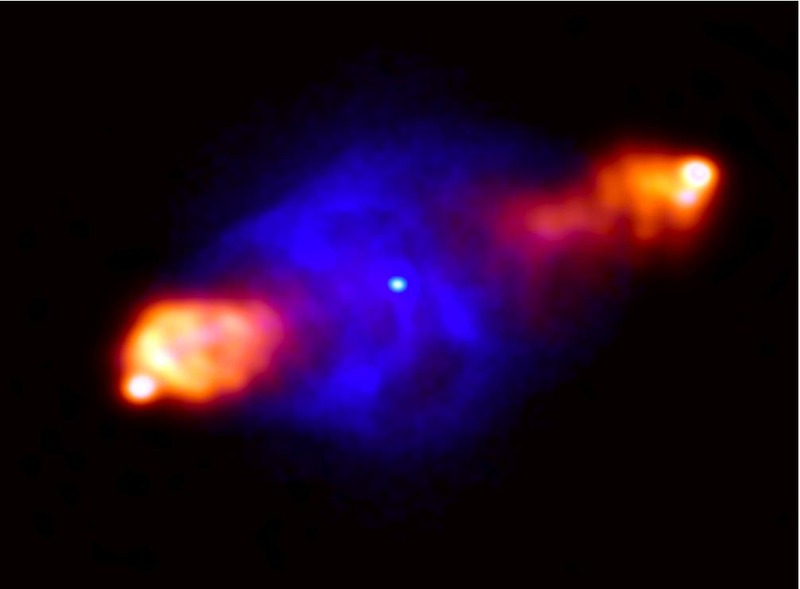 The picture shows how the jets slam into the hot gas surrounding the galaxy (blue, imaged by NASA's Chandra x-ray space telescope).